Cinder Well is the haunting folk project of Amelia Baker. Her songs are nostalgic and moving, centered around memory, loss, place, and longing. While heavily influenced by traditional American and Irish music and song, Cinder Well is deeply personal and original. 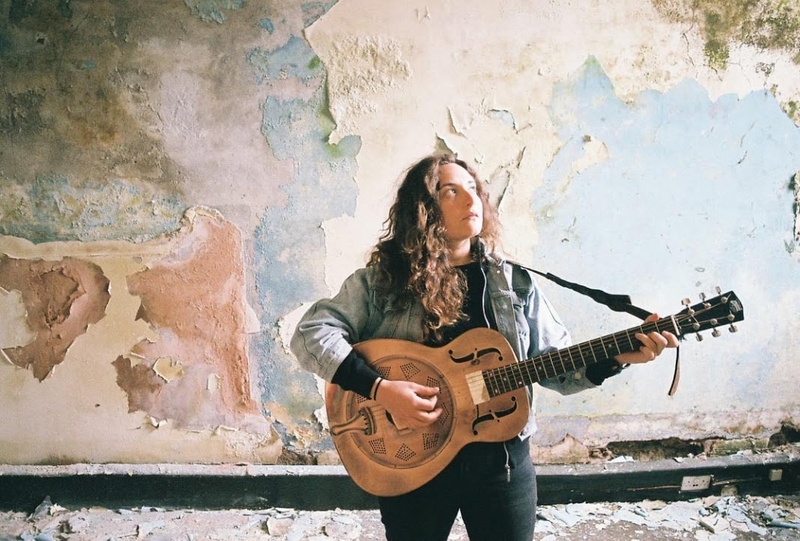 Amelia Baker’s mourning vocals are framed with resonator guitar, shruti box, and strings, and her lyrics and cathartic melodies wrap listeners in a surrealist world just adjacent to our own. The Unconscious Echo, Cinder Well’s critically acclaimed, first full length release, was named as one of the Best Folk Albums of 2018 by Folk Radio UK. Cinder Well has toured the US, UK, Ireland, and Europe, with performances in a range of venues; from squats to folk clubs, and from farms to concert halls. Amelia Baker is often accompanied by a Pacific Northwest fiddle and viola duo, and collaborations have included members of Blackbird Raum, Vradiazei, REGN, and Blato Zlato.